An unknown drunk driver Sunday rammed into the official staff car of the Chief of Army Staff, Lt. Gen. Tukur Buratai. The auto crash which was disclosed in some series of tweets on the Army twitter page occurred at the Jere area of Kaduna State. 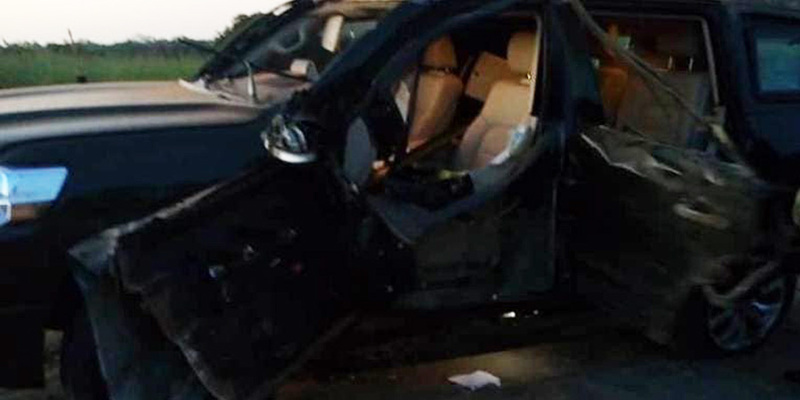 â€œThe COASâ€™ official car had an accident in Jere on the way to Kaduna State on Sunday around 6pm. The staff car was in a convoy along with other vehicles when a lone civilian vehicle veered off its lane and rammed into the staff car,â€ the army tweeted. Although the Chief of Army Staff was not in the vehicle, his aide-de-camp and the civilian driver sustained injuries from the accident. The army said the ADC, whose name was not disclosed, was said to have been rushed to a nearby hospital for medical attention while the drunk driver is presently receiving medical attention at the Nigerian Army medical facility. The troop said the case has been reported to the police and investigation has also commenced. â€œInitial findings showed driver was under the influence of alcohol,â€ the army said. What should we call this now?